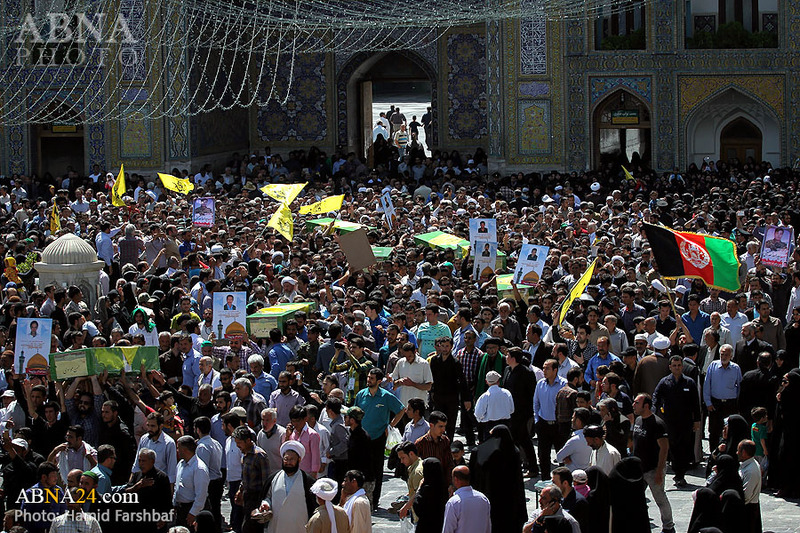 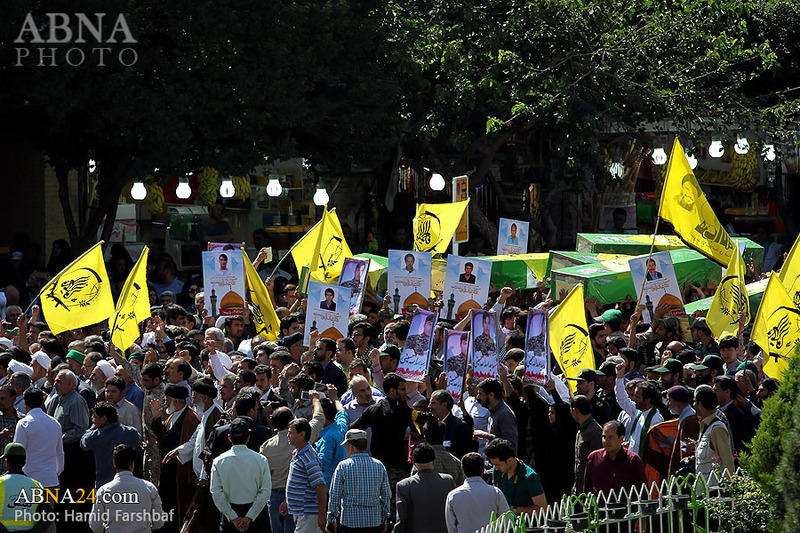 ABNA, Mashhad : Funeral ceremony of eight martyred defenders of holy shrines in Iraq and Syria was held with the presence of people and officials of the holy city of Mashhad at Imam Ridha holy Shrine. 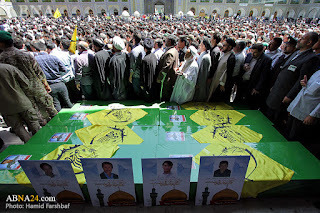 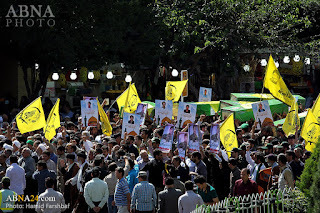 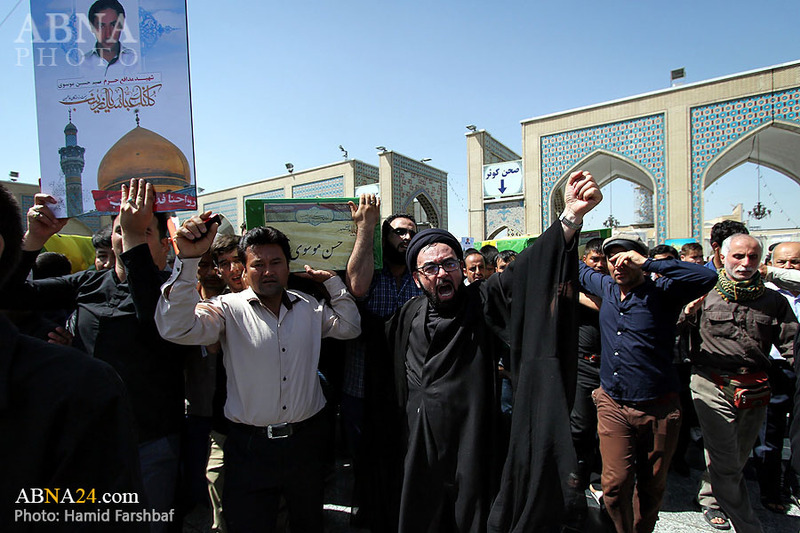 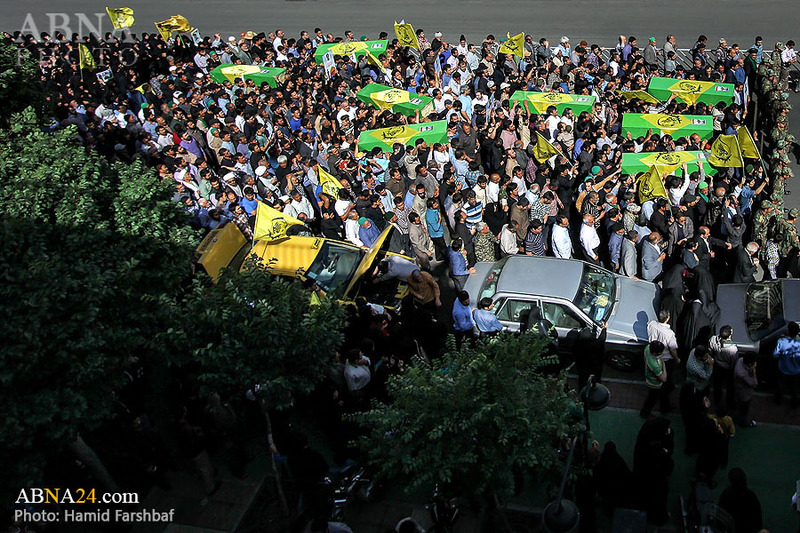 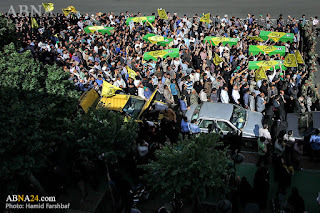 Funeral ceremony of martyred defenders of holy shrines, Seyyed Asadollah Hosseini, Morteza Rajabi, Kazem Rahimi, Muhammad Ali Ramezani, Soltan Ali Ahmadi, Mostafa Moghadam, Abd al-Hasan Muhammadi, Seyyed Hasan Musavi was held on Thursday, May 26, 2016. 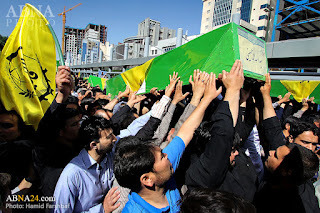 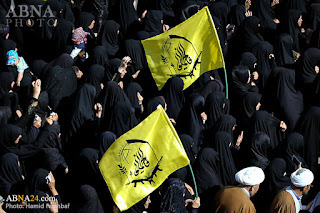 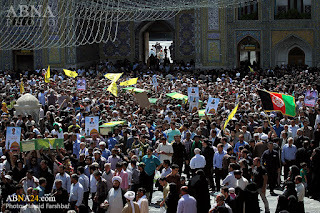 It's reminded that the ceremony was accompanied by the revolutionary people, started from city's Mahdiyeh on Imam Reza (A.S.) Avenue, and continued with circumambulation and funeral prayer at the Razavi Holy Shrine.